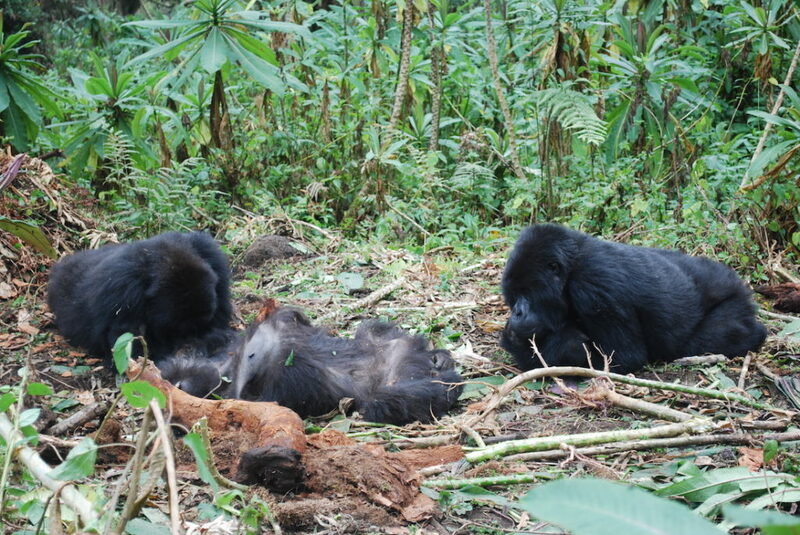 Your 6 days Congo lowland gorilla trekking safari & Mount Nyiragongo hiking tour is a 6 days safari in Congo featuring lowland gorilla trekking in the Eastern country side of Kahuzi Biega National Park and hike to Mount Nyiragongo. Your Congo safari starts and ends in Kigali Rwanda though all activities done in Congo within 2 different safari destinations. The trip starts with a pick up from Kigali international airport for a transfer to a booked accommodation facility in Kigali. The next morning, you continue on a drive to Congo’s Bukavu town from where you go for lowland gorilla trekking the next day. From Kahuzi Biega National Park, you are driven to mount Nyiragongo for a hike and descend before return to Kigali international airport for a departure flight. Day 6: Descend mount Nyiragongo and then your driver guide will transfer you back to Kigali international airport for your departure flight. On arrival at Kigali international airport on the first day of your trip, a professional safari guide will be there to ensure your drive to a booked hotel in Kigali. On arrival, you check in, have dinner and spend the night as you relax from jet lag and get ready for the drive to Congo the next day. In the morning after you have had breakfast at your lodging facility, your professional driver guide will brief you about the safari and then start the drive to Bukavu in Congo. Driving southward to Cyangugu boarder to Bukavu you take about 7-8hours going past beautiful landscapes. Arriving in the evening you will have dinner and an overnight at your prior booked accommodation facility. By 7:00am your driver guide will be ready to drive you to the park headquarters for your memorable Congo gorilla trekking safari experience. 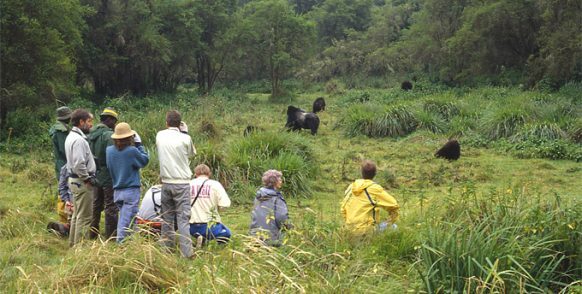 The park has only 5 habituated gorilla families for gorilla trekking by tourists and family allocation is done during the briefing. 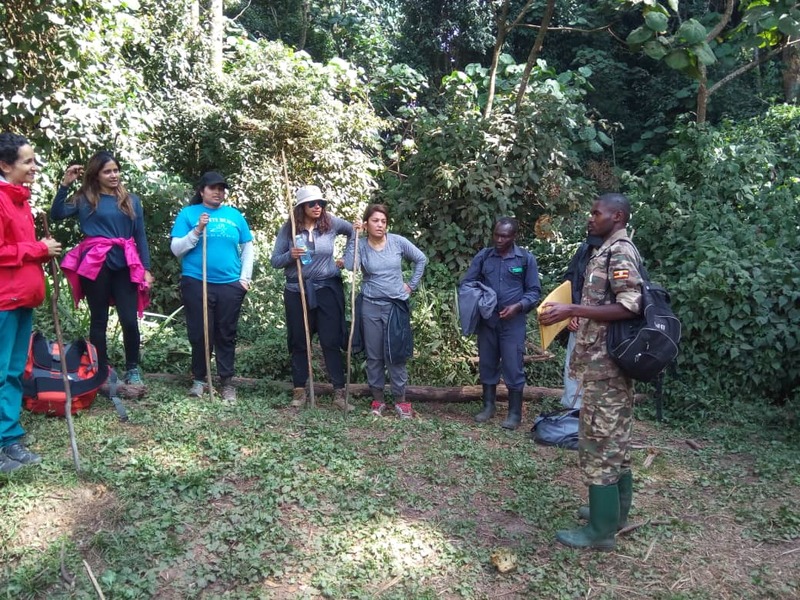 Gorilla trekking briefing starts at 8:00am by the park rangers where after you get into the jungle in a total of 8 trekkers and armed ranger guides for about 2-5 hours. After spending 1 hour having a great experience that you always imagined, you will return to the park headquarters where you will find your driver guide ready to return you to your lodging facility for relaxation, dinner and an overnight. In the morning after the previous amazing Congo gorilla safari encounter, you will have breakfast then spend the day driving to Goma using a 4×4 safari land cruiser. You will arrive in the evening check in, relax and have an overnight at a booked accommodation facility in Goma town. Your driver guide will transfer you to Kibat which is the starting point for your hike. You will then start the hike at around 9:00am taking about 6-7 hours to reach the summit depending on your physical fitness. Mount Nyiragongo in Congo is one of Africa’s recently active stratovolcanoes. 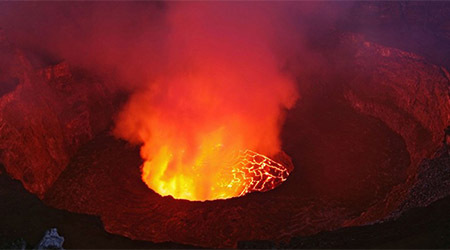 Mount Nyiragongo lava lake has ever been known as the most voluminous lava lake. The mountain is about 3,470m high with two distinct lava benches one about 3,175m (10,417ft) and the other at 2,975m (9,760ft). It’s a non-rivaled experience to hike this volcanic mountain on a Congo tour. You will spend the night on the summit cabins where a porter can help with the cooking and carrying luggage. On the last day of this amazing tour in Congo, you will descend from the summit of mount Nyiragongo back to Kibat station. Your driver guide will be ready to transfer you to your lodging facility for a meal, refreshment and start the drive to Kigali international airport for your late evening departure flight. 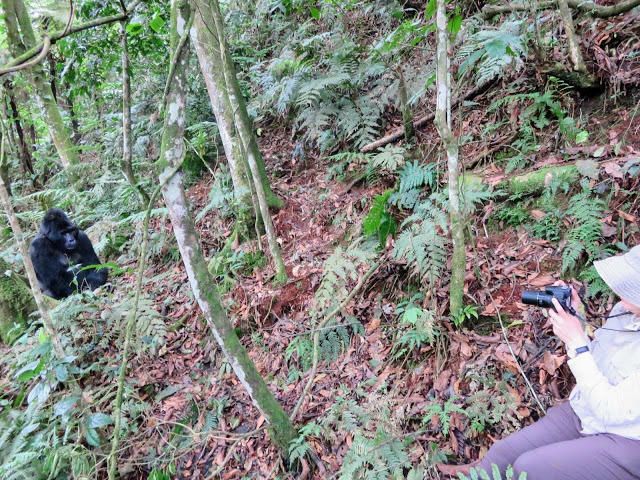 Still within Congo, you can also trek mountain gorillas in Virunga national park during Congo gorilla safaris. 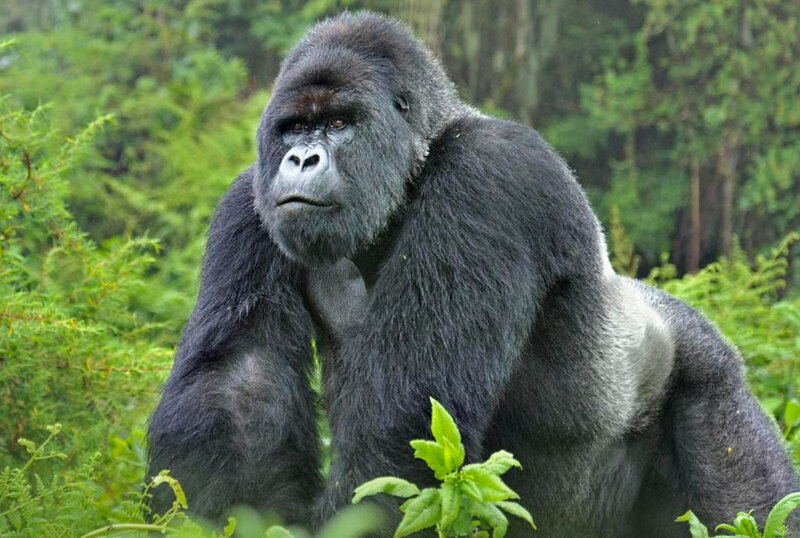 Within the Virunga massif, you can also trek gorillas in Volcanoes national park on Rwanda gorilla trekking safaris or during a Uganda gorilla safari to Mgahinga gorilla national park. If you are looking for the perfect activities to undertake on a Congo safari then this is one of the best options.